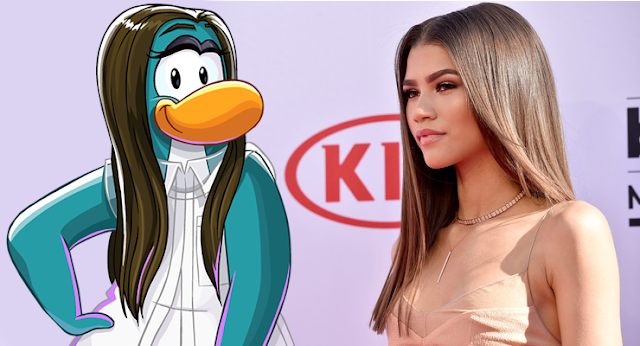 Your Favourite Celebrities As Club Penguin Characters! If there's one thing I've always loved about Club Penguin, it's how the game can stay so original to the snowy, desolate island canon whilst still bringing in realistic, real-world elements. 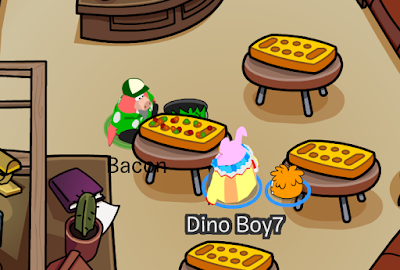 For example, we know that we're playing as penguins who live on an island in the middle of nowhere, but we can still get a coffee whenever we want, play games, dress up with fashionable items and even access computers and mobile phones in the game. The game is as realistic and relatable to modern-day Western society as it can be. Or is it? Do we need something more? We have the clothes, the food, the activities, etc... but we don't have the people. 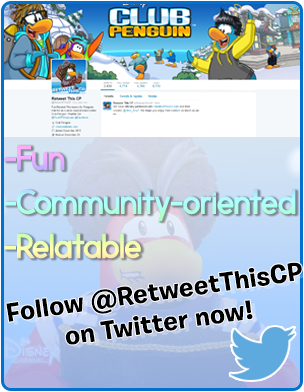 That's why today we will be looking at what four of your favourite celebrities would look like in Club Penguin. You'd be lying if you said you didn't know who Elvis Presley is. Elvis, also known as "the King" was the most influential 1950s rock 'n' roll star the world has ever seen. With such classic hits as "Hound Dog," "Jailhouse Rock" and "An American Trilogy," Elvis was truly an inspiration. So it's no wonder we'd want to see him re-created in Club Penguin. The closest the team has come to resembling Elvis was in the July 2008 Penguin Style catalog, sporting a very fancy outfit! 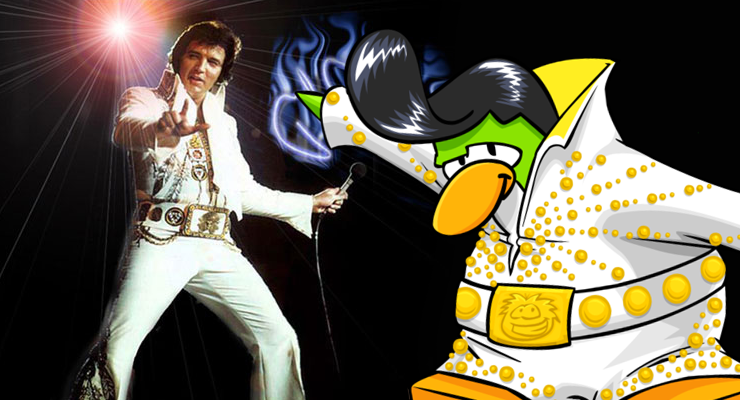 Wear Lime Green, The Rocker and Supernova Suit to look just like Elvis Presley on Club Penguin. From the same catalog comes a country singer penguin, with an old cowboy hat and classic performance outfit, looking oddly like George Strait. 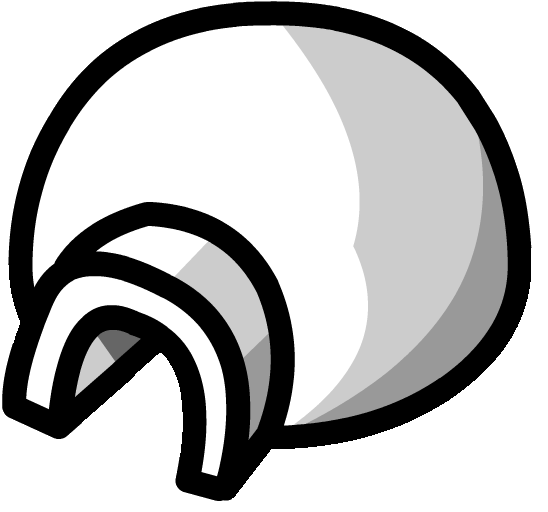 Now, I have no idea if this is a coincidence or if the CP team really intended to give a nod to Mr Strait in penguin form, but it works! Strait is the "King of Country" and has held that title for a long time, from his debut album "Strait Country" in 1981, he gained immediate traction from the country audience. He is still rocking to this day, with his twenty-ninth album being released just last year! George has been forever immortalised in Club Penguin. 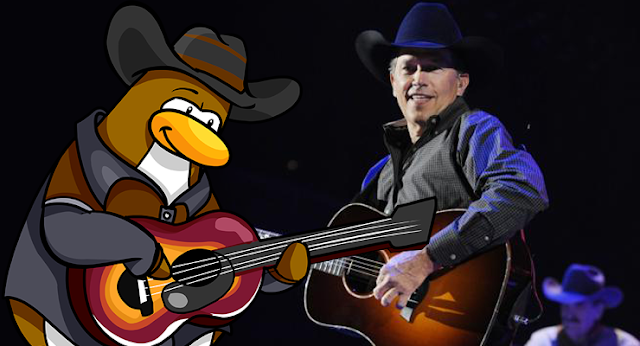 Wear Brown, Black Cowboy Hat, Black Cowboy Shirt, Sunburst Acoustic Guitar and Cowboy Boots to look like George Strait in Club Penguin. You may not have heard of Morihei Ueshiba before today, but if you have - kudos to you, grasshopper. He was a martial artist and founder of Aikido, a modern Japanese martial art. He was also a sensei, and opened up his own dojo in the aftermath of World War II. 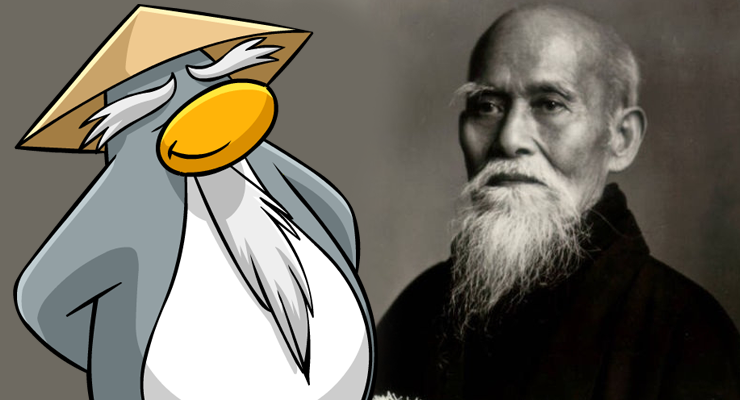 When Club Penguin were developing the character of Sensei, they were probably citing sources of famous Japanese senseis throughout the times, and it's no doubt that Ueshiba would've popped up at least once. Nothing is for sure, but the resemblance is very strong and I'd be surprised if at least Sensei's facial hair wasn't modelled of Ueshiba's handsome beard. Wear Arctic White, Big Brow, Fuzzy White Beard and Black Jedi Robes to look like Morihei Ueshiba on Club Penguin. Okay, okay. 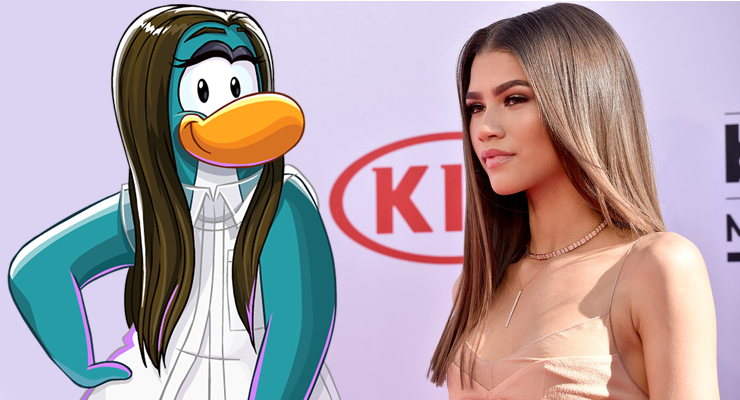 I can kinda see why this is cheating since the team actually modelled Zendaya after her real-life appearance, but they did a great job so I can't leave this out, especially in a post about Club Penguin and celebrities. For the Music Jam 2014, real-life Disney celebrities Violetta, Cole Plante, Sabrina Carpenter and Zendaya were all modelled for the game and given their own unique character. Zendaya had a giveaway item for when you met her during a performance. During the party, her character performed her song "Replay". 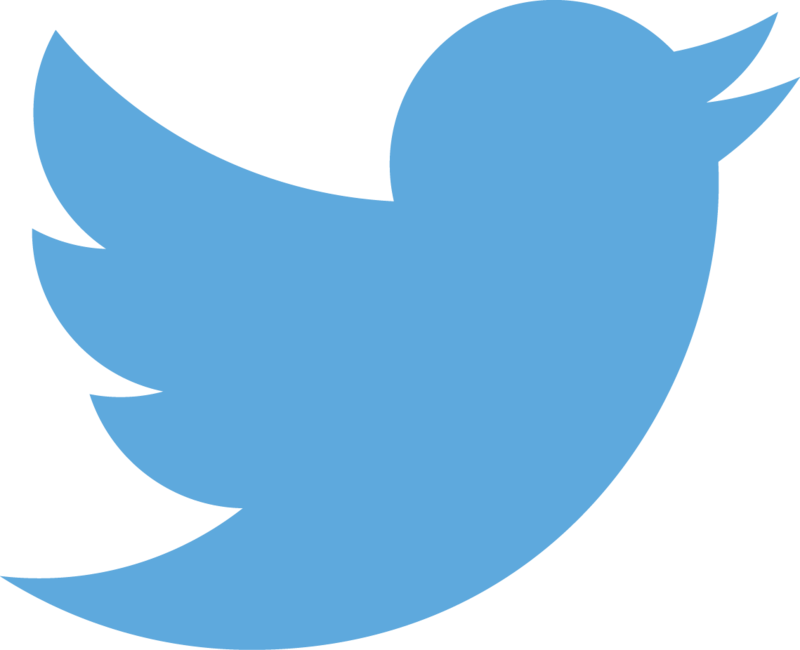 Wear Aqua, The Flutterby, Starlet Eyes, Beach Dress and Golden Microphone to look like Zendaya on Club Penguin. So that just about sums it up, everyone! That's what four celebrities would look like penguin-ified. Were you amazed? Were you spooked out? Let me know, you can tweet me or leave a comment below in the Disqus thread. I'm looking forward to your responses!